I have been dreading this episode when a clip was shown with huge red spiders in it. I am not good with all things creepy crawlie and was actually considering NOT watching this one, but true to how this new Doctor Who regeneration is going, I felt I was that small kid again hiding behind a cushion with one eye peeking from behind it. This was the way Doctor Who was when I was a kid and this is the way it has become again, back to its unique British best. It is going back to the Hammer Films genre that made it popular and becoming dark and even more eccentric than ever before. I love it for doing so. Written by Peter Harness and directed by Paul Wilmshurst, this episode begins with Clara and Courtney calling for help from a moon-base in 2049 saying that the Doctor isn’t there to help and may not be around anymore. Cue to the beginning. Clara is telling the Doctor off for not handling Courtney properly, that she’s a vulnerable teenager. He tries to pass it off only to find the troubled teenager on the Tardis and demanding an apology of sorts. 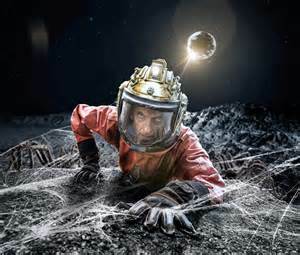 Instead he takes her and Clara to the moon where they find a small band of people, led by Lundvik (Hermione Norris) on a shuttle with nuclear weapons with the moon breaking apart and faced with an impossible decision. 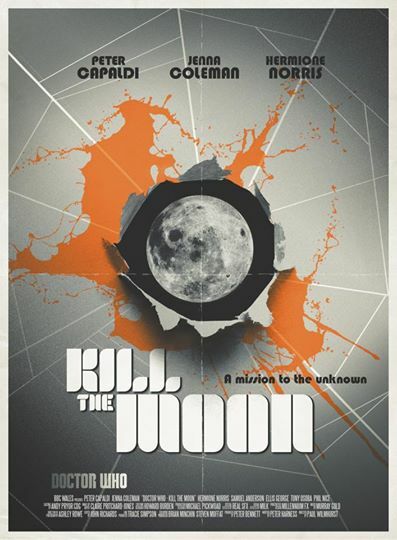 Do they kill the moon to save humanity? This episode is taut and tense, the characters being pushed to their limits. The Doctor’s and Clara’s relationship is tested to the limit also as the question is asked again about the roll of his assistants and why he has them if he does not see to respect them. But he does and always has done, even when faced with difficult choices. The unique thing about Doctor Who is that it is willing to push the boundaries and ask hard questions as well as going to the dark places in our hearts and minds. This makes it unique in science fiction and that label alone does not do it justice for it crosses many genres, one of which has always been horror. Again the Hammer genre is always around in the background as would be expected from the many writers, directors and many others involved who grew up watching the Hammer films and television series. This is why it is loved the world over and always has been and hopefully will continue well into another fifty years or more. One more thing. If you are a little squeamish about creepy crawlies, I recommend the pillow and lights on (although I watched in the dark because I am nuts)! This series just gets better and better and the Doctor much more like a Timelord than ever before. Roll on next weeks episode Mummy on the Orient Express.